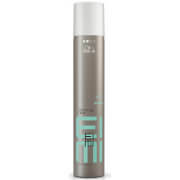 Providing strong hold, the label.m Hair Glue (100ml) will allow you to create edgy styles that stay put around the clock. Formulated with the innovative Enviroshield Complex, it also protects your hair from the damage caused by heat styling and UV rays. Your hair will be separated, defined and texturised, so you can experiment with your style. - L.M.